At GROW, we are applying the principals of Permaculture to urban land restoration. GROW Enrichment is a non-profit organization working to expand the conversation about sustainability, with special attention to urban land stewardship. We believe that urban green spaces, such as public parks, can become keystone points of ecological restoration and community engagement through volunteerism. Our vision for the future of urban land stewardship is an integrated “whole system” approach where micro-ecosystems are restored, native wildlife recovers and thrives, and urban residents can connect with nature in profound ways. Our project site is over ten acres large, containing multiple micro-ecosystems (grassland/meadow, wetland, woodland, and aquatic to name a few!) We are working towards tying all of this space together with permaculture farming methods for land management. This means that all areas of the project site will eventually become part of a larger, thriving, ecosystem; Nashville’s first sustainable ‘food forest’ park. By design, permaculture restores the balance between land use and land care, while creating habitats that are abundant with food resources. Donelson is a wonderful community within Nashville where people see neighbors in need and rally to help them. GROW has been inspired by this spirit and wants to give back in a big way. It came to our attention that the two schools bordering our new site have registered more than one hundred students who meet the requirements for homelessness. Consequently, we decided to designate a large portion of the site to installing a community food forest. This part of our project is currently being integrated with developing programs for students at Two Rivers Middle School, as well as students at Glen Cliff High School (who are working on propagating new trees to plant here!) In 2018 the orchard was re-designed into a ‘silvopasture’ (long straight rows of closely planted successive trees.) The purpose of this design is to allow grazing animals to maintain the grassy spaces in-between rows of trees. Look for our new herd of goats to be out there grazing and fertilizing this spring! Please contact us directly if you would like to be involved with this project! At GROW we believe that a wealth of learning about the world can come from the simple act of spending time in nature. For children, learning happens through play. We have set aside a large portion of our project site to create a nature playground that is unique among others in Nashville. Here you will find the usual logs for climbing, sand for digging, and grass for laying in. You will also find pocket gardens and habitats integrated throughout the space. There are edible flowers, fresh herbs, even a well placed surprise veggie waiting to be discovered! We trust parents to help their young children explore this place with curiosity and respect for the many hours spent creating and maintaining its features. With practice, children quickly learn which features need special care and where the best places to build forts can be found! Click the button if you would like to help create and maintain this magical space! Urban Forest Restoration - Pawpaws v.s. Privet! A fight to save a historical urban forest! Our project site was once part of the historical Two Rivers Mansion Estate and contains two urban pocket forests. Though they are small, they are mighty in terms of the abundance of wildlife they are supporting! The larger one (below the dog park) is especially valuable to the community because contains the natural springs which carried clean water to the residents of the estate. The forest also has one formal hiking trail (the McGavock Spring House Trail) and harbors a mature grove of native Asimina Triloba (Pawpaw) trees, which are the only host plant for the TN state butterfly; the Zebra swallowtail. The urban forest restoration project involves a year-round effort to remove invasive non-native flora, replant native flora that historically occurred on the parcel, and improve public access to the space through trail improvement. In 2018 we engaged hundreds of volunteers, who gave thousands of hours collectively to remove invasive species with priority placed on the two large groves of pawpaws and the area around the springs. Volunteers in 2018 also planted nearly 1,000 native trees back into the forest system, removed degraded bridges, repaired trails, installed a new staircase on the McGavock Spring House Trail, and constructed a new bridge so that park visitors can access the springs. All of this was funded by donations received by GROW towards our mission. 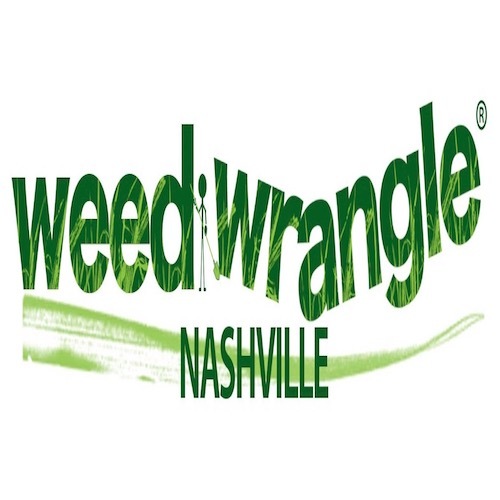 In 2019 we will continue our participation in the state-wide Weed Wrangle event, as well as engage volunteer groups in ongoing replanting efforts. We’ll also be enlisting the help of our very own goat herd! Volunteers in this area of our project will work alongside the herd frequently and help communicate their role in the forest recovery to the general public. We are seeking committed volunteers whom we can train to lead others in this large scale conservation effort. Click the button to join us! The big picture of the GROW project is that we are integrating sustainable food resources throughout all areas of the project site. There are chestnuts and fruits growing in the silvopasture alongside elderberries and lavender. Oaks are being replanted in the forests alongside existing pawpaws. Flowers and herbs are tucked into every nook and cranny, even on the nature playground! Then there’s our designated ‘learning garden’ where we help people think about things like companion planting, soil erosion prevention, water sequestration, and more. Collectively, all of these many gardens make up the big picture and require dedicated volunteers to care for them. So whether you want to garden perennials or veggies, fruit trees or shiitake mushrooms, brambles or pollinator gardens, we can use you on our team! The final component of the GROW project site has finally been approved; the Bee Sanctuary & Apiary! This project involves educating the public about native bees through interpretive signage throughout our site as well as through programming efforts. Additionally, it means the construction of a secure bee yard to house our honeybee colonies. These colonies will live at GROW solely for the purpose of public education (per our permit, their honey cannot be sold.) It is our plan to develop a bee husbandry internship program for local teens at this apiary site. Construction and landscaping of the bee yard is expected to be ongoing for the 2019 season, with honeybees arriving in the spring of 2020. We are currently building a team of people who desire to work on this project with us long term. Another side of the Bee Sanctuary project is programming that GROW takes into local schools. We have two key lessons: Intro to Urban Beekeeping & Meet the Native Bees! These lessons have been developed out of the TN state standards for science in grades K-12 and are engaging way for students to expand their knowledge of bees. If you are an educator and would like to request one of these lessons for your classroom please click this link. We are currently building a team of people who desire to work on this project with us long term. If you are interested, please click the button! As you can see, our project goals are HUGE and we couldn’t possibly do it alone! GROW collaborates with dozens of local nonprofits and partners to support the work we are doing at the Two Rivers project site. 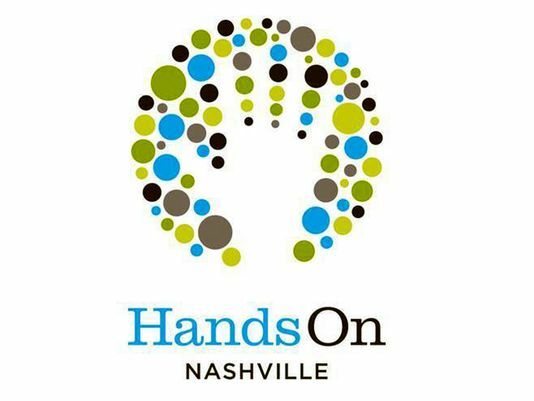 Together, we are connecting resources and communities to create lasting change and increase sustainability across Nashville!